Recently, I’ve been very obsessed with the new social site Pinterest — a virtual pinboard that allows you to “pin” images from across the web and save them to your own personal board. You can also follow other Pinterest users and repin their images. For visual people like me, it’s a pretty awesome way to bookmark the things you like and discover new favorites. I came across an image for this recipe on Pinterest and it caught my eye because, really, who doesn’t like donuts? The no-fry concept was appealing to me, so I figured I’d give it a try. 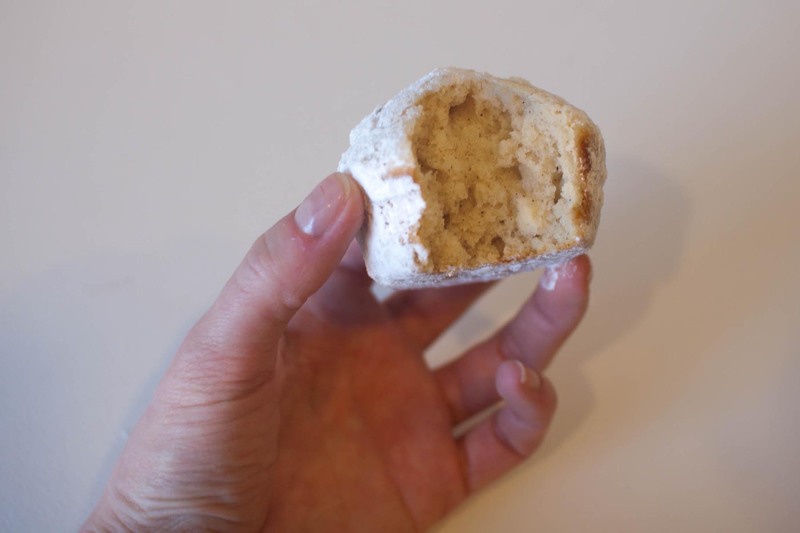 The original recipe had a cinnamon sugar coating, but I prefer powdered sugar, so that’s how I made mine. Glaze would be good, too. Since these are baked, they’re obviously not going to be exactly the same as a fried donut (a girl can dream), but the cakey texture is pretty dead on. They’re as fun to make as they are to eat — this one’s definitely a keeper. In a large bowl, combine flour, baking powder, salt, nutmeg and cinnamon. In a smaller bowl (or large liquid measuring cup), combine oil, sugar, egg and milk. Add wet ingredients to dry, and fold until just combined. 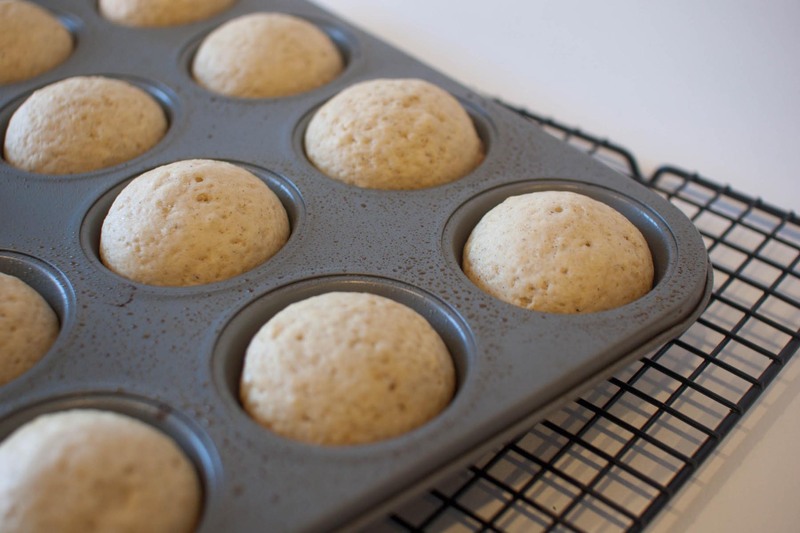 Grease a muffin tin and distribute the batter equally between the 12 cups. Bake for 20 minutes. Meanwhile, put the powdered sugar in a large bowl. Remove the muffins from the tin while they’re still hot, toss in the powdered sugar (I tossed each muffin twice), and set aside on a rack to cool. Oh this is exciting – they are not fried and they are donuts!!! Awesome recipe… so glad you found it and shared it with us. These must be delicious! Just pulled these out of the oven. Swapped 3/4 c. cake flour for 3/4c. of the flour. Tossed in 1 Tbl. of cinnamon in the powdered sugar. Devoured. Excellent! 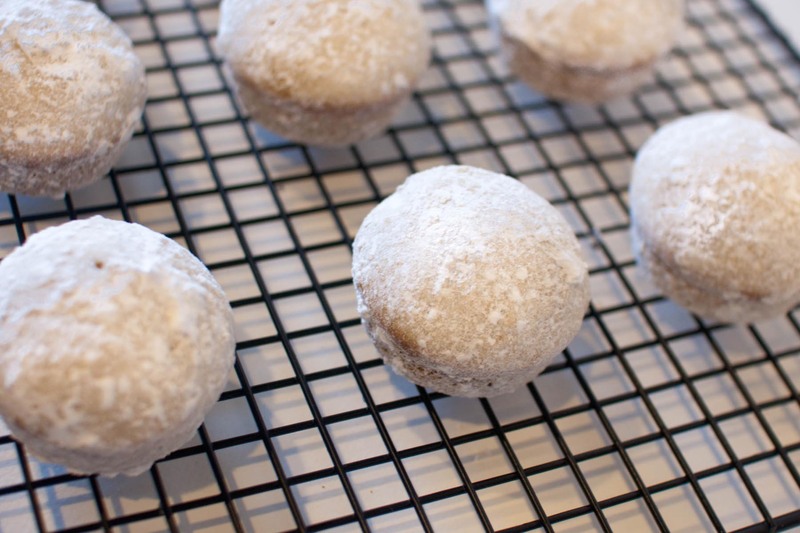 Mmm…these remind me of the Hostess powdered donut holes…except much better for you, sort of. :-p Looks great, Bobbi! Every now and again I crave a fried doughnut. Think Krispy Kreme. But I know that whenever I’m done eating it, I feel so gross. :-p These might be a good, healthier alternative. Oh my goodness….those look divineee!!! How moist and delicious…mmm I can almost smell them! Yum!!! Yes please! Loving that these are no-fry! It is so funny because I made donut muffins today too. 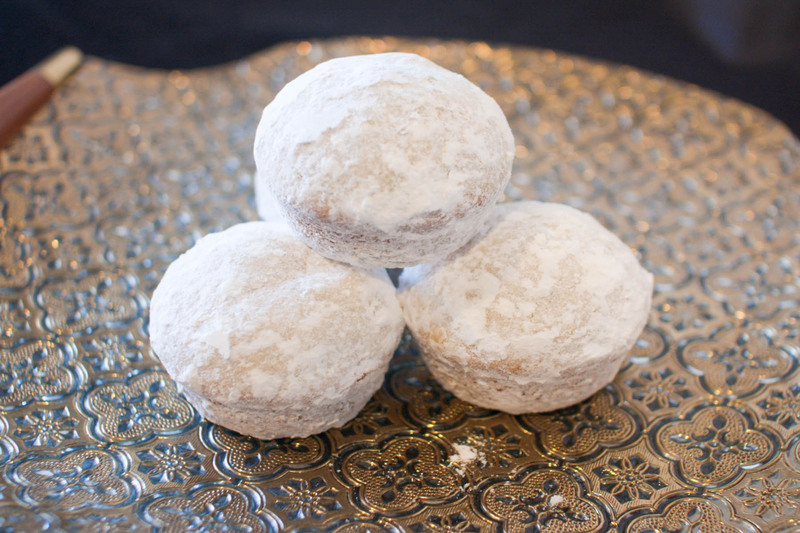 I put cinnamon sugar on mine, and filled them with jam but I like the powdered sugar on yours and will have to try them. Oh I just love this idea! Really, I mean I love that they are baked and I just love that they are muffins. 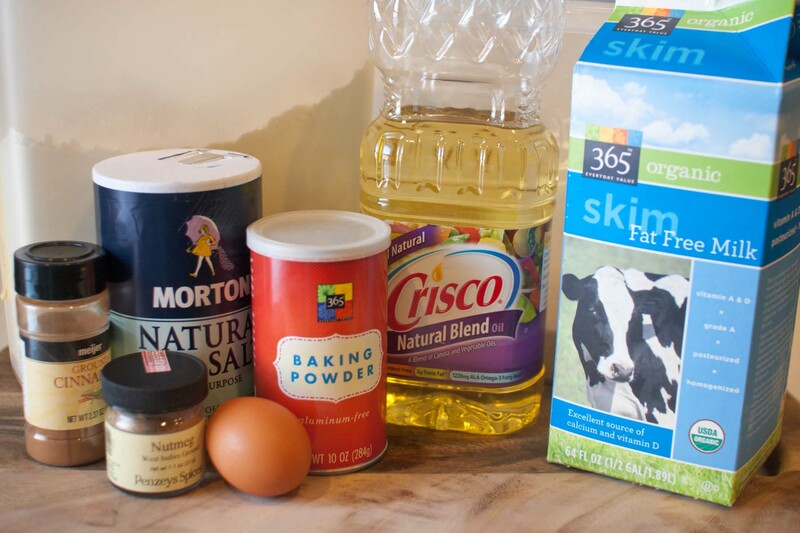 I have a hard time finding the donut pans that people use to make donuts…so I just love that you used something that I currently have in my pantry! hehe, they look so yummy! I’ve heard about pinterest, haven’t tried it out yet. But what a great way to come across these donuts! Yum! I will DEFINITELY be trying this. I’ve been craving donuts but don’t feel like getting the deep fryer out. I’m making these this morning. I saw them on your site and pinned them and they got a few re-pins. They smell amazing and my kids are excited. I tried this this morning, subbing apple sauce for the oil. Pro: hint of apple-y flavor and definite apple aroma. Con: wretched to get out of the muffin liner.